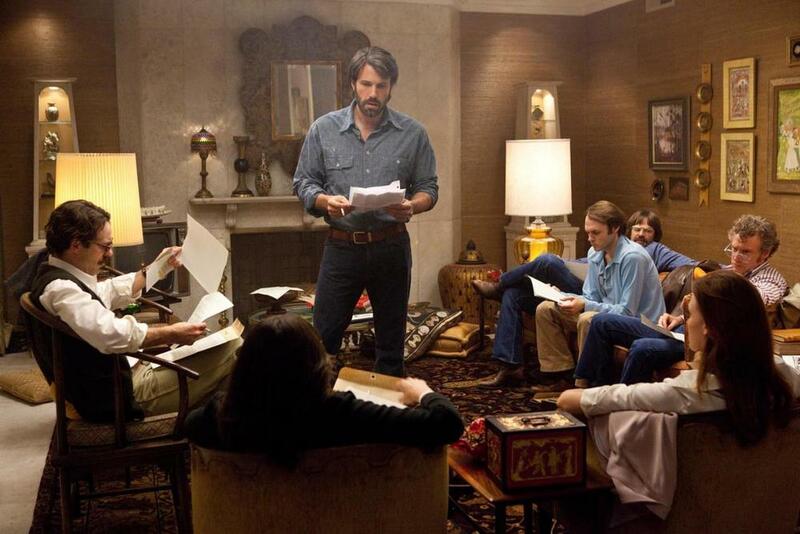 We have a new still from Ben Affleck's Argo thanks to our friends at Comingsoon. The film features an extensive cast of great character actors, including Alan Arkin, Bryan Cranston, John Goodman, Kerry Bishe, Kyle Chandler, Rory Cochrane, Christopher Denham, Tate Donovan, Clea DuVall, Victor Garber, Zeljko Ivanek, Richard Kind, Scoot McNairy, Chris Messina, Michael Parks, and Taylor Schilling. Chris Terrio wrote the screenplay. Based on true events. Argo chronicles the life-and-death covert operation to rescue six Americans which unfolded behind the scenes of the Iran hostage crisis--the truth of which was unknown by the public for decades. On November 4, 1979, as the Iranian revolution reaches its boiling point, militants storm the U.S. embassy in Tehran, taking 52 Americans hostage. But, in the midst of the chaos, six Americans manage to slip away and find refuge in the home of the Canadian ambassador. Knowing it is only a matter of time before the six are found out and likely killed, a CIA "exfiltration" specialist named Tony Mendez (Affleck) comes up with a risky plan to get them safely out of the country. A plan so incredible, it could only happen in the movies. I loved Affleck's other directorial efforts, and I am excited to see this period piece. I hope that Cranston has a substantial role since I love him in Breaking Bad. The cast is great, and this should be a good character study. Argo opens in theaters on September 14th. Bryan Cranston to join Ben Affleck's ARGO?